Virginia Folklife Director Jon Lohman stopped by Tell Us A Tale to discuss the upcoming Flory Jagoda and Susan Gaeta concert of Sephardic music and culture on Saturday evening, January 22, at Congregation Beth Israel. Not only is Lohman the Virginia Folklife Director, but also the official Virginia state folklorist. Jon and Peter also discussed the difference between Klezmer and Sephardic, and played music samples of both; including from two of Flory Jagoda’s own recordings. Flory Jagoda, a 2002-2003 Master Artist in the Virginia Folklife Apprentice Program, was a 2002 recipient of the National Heritage Award, the highest honor given to a traditional artist in the United States. Susan Gaeta served as her apprentice and is herself a gifted singer and performer. 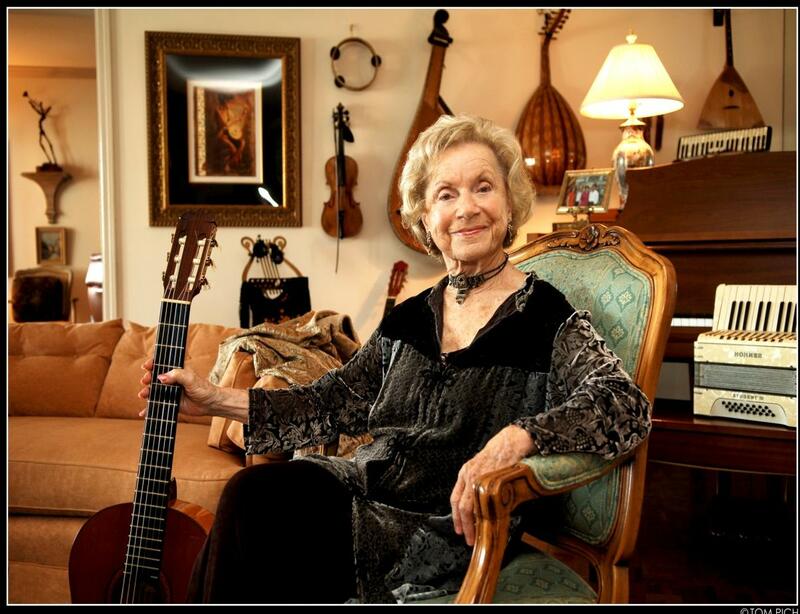 The concert is a fundraiser for the Flory Jagoda Sephardic Music Fund at the Virginia Foundation for the Humanities, established by Susan Gaeta in Flory’s honor to preserve, support, and perpetuate the Sephardic musical tradition. Flory was born in Sarajevo, Bosnia, a member of the musical Altaras family within the Sephardic Jewish community. From her grandmother, Jagoda learned songs that had been passed down in her family in the generations since Sephardic Jews were forced into exile from Spain and Portugal in the 15th century, sung in Ladino, or “Judezmo”, the traditional language of the Jews of the Ottoman Empire. Escaping with her parents from the destruction of most of Bosnia’s Jewish community during World War II, Flory is now recognized as the “keeper of the flame” of the Sephardic musical tradition in the United States and internationally, as well as for her new compositions and arrangements of traditional Sephardic songs. Flory has passed this legacy along to her children, musicians themselves, and has worked with many students now performing Ladino music. Together, Flory Jagoda and Susan Gaeta will present an entertaining and enlightening evening of Sephardic song and story.